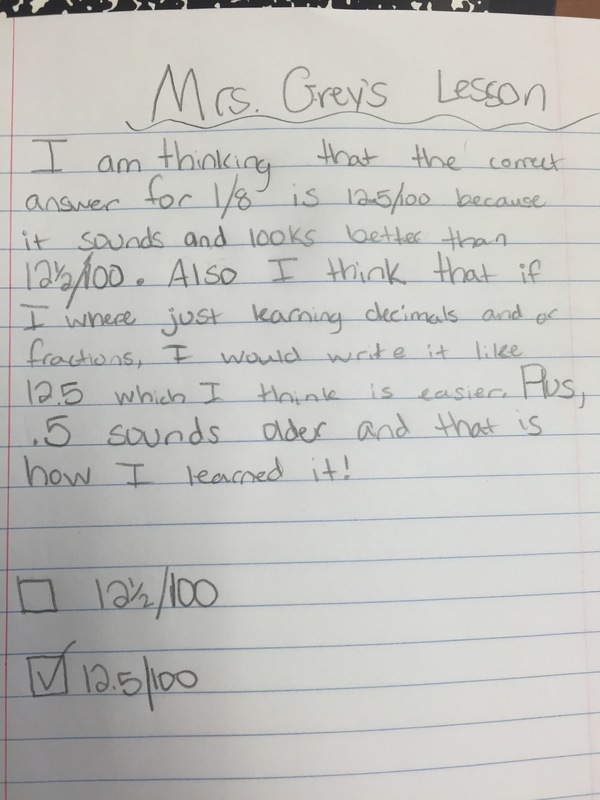 How Planning Mistakes Can Lead To Great Student Thinking…. The other day I did this fraction clothesline activity with a 5th grade class and today I had the chance to do it again with another 5th grade teacher, Leigh. It is always so nice to get to have a do-over after having time to reflect and think more about what the students thought about both during and after the activity. I really thought the conversation was great during the clothesline activity, but it took too long the first time. We noticed that some students began to disengage. To try and improve upon that, Leigh and I decided to give only one card to every pair of students instead of each student having one. However, due to us wanting to keep a few important cards we wanted to hear them talk about, some pairs had two. I also did not like my placement of 0 being at the very end of the left (when looking at it) end of the string. I moved it out some and talked about the set of numbers that falls on either side of the 0. I felt much better about that this time around! 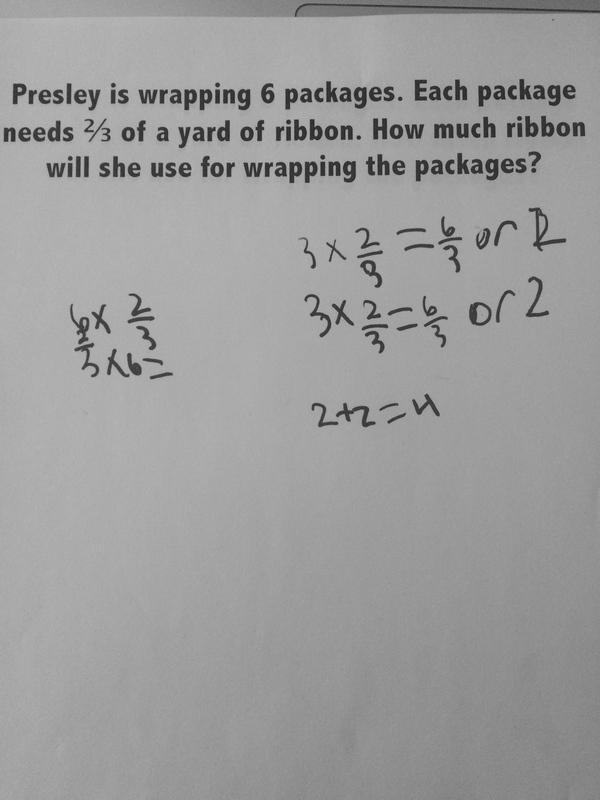 In the planning of the first clothesline activity, we took fractions from the work the students had been doing with percents and decided on putting 100% in there, completely thinking it would be at 4/4. 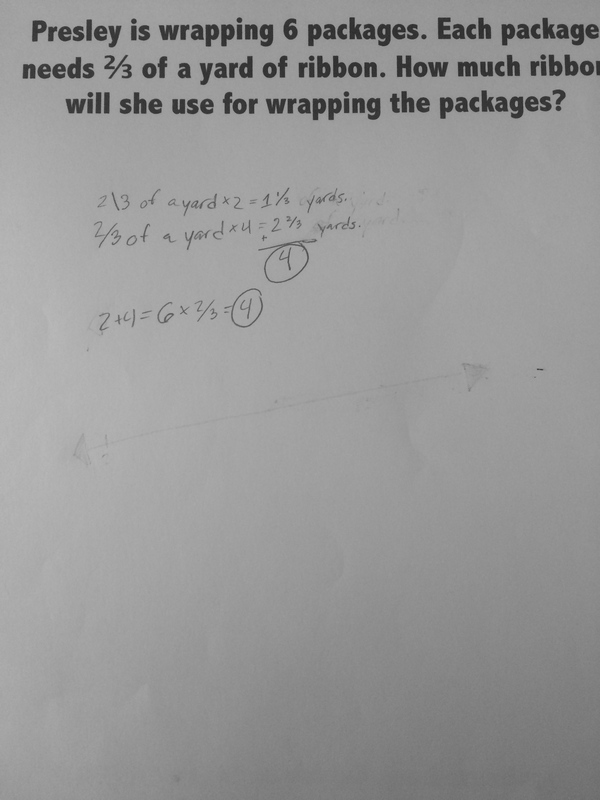 As the student placed it, however, I started realizing that I never thought about the difference of 100% in terms of the area representations the students had been using versus 100% when talking about distance on a number line. But now, having time to reflect on the card, I thought it would make a great journal entry! As we neared the end of the card placements, I handed the 100% card to a student and told her it was going to probably cause a lot of discussion but just put it where she thought it went. 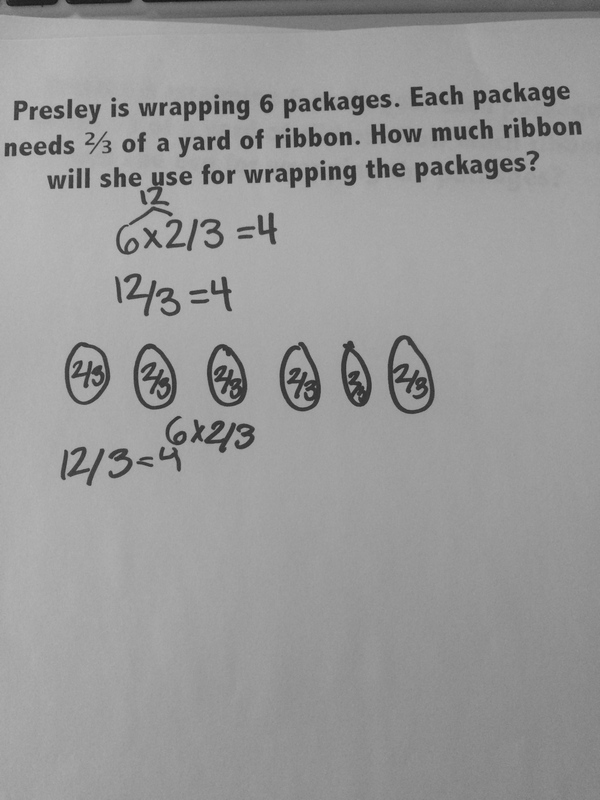 She said she got it, walked up there and placed it on top of the 2 (the highest number on the line). There were some agree signals going on and some other hands that shot right up to disagree. 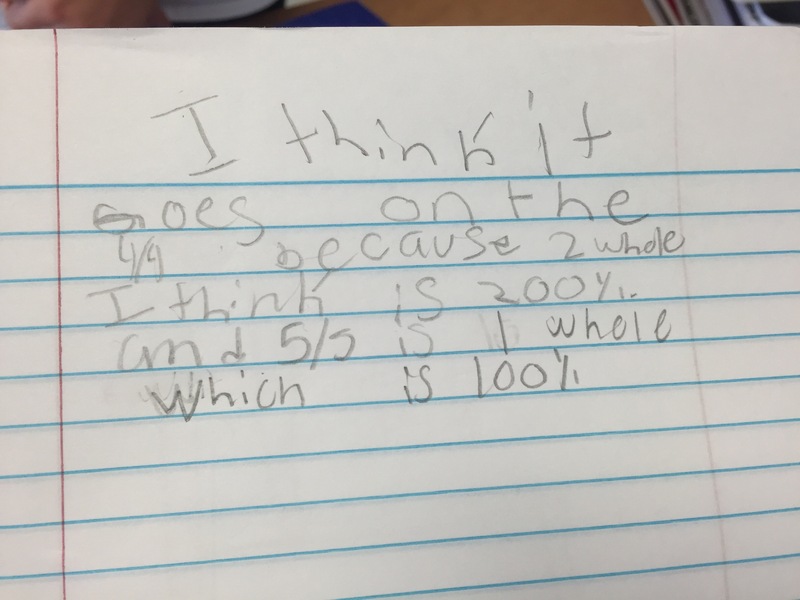 We talked about it a bit and then we asked them to journal their ending thoughts so we could move on with the rest of the lesson about different sized wholes. 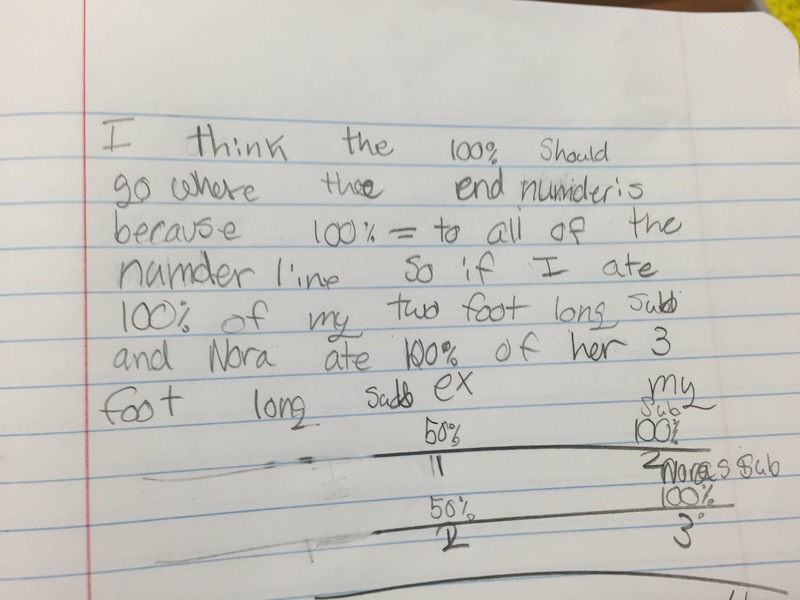 Some thought that 100% was at 4/4 on the number line because it equals 1…. And one student said it can be anywhere with beautiful adjustments as it moves…. What a great day revisiting my planning mistake! 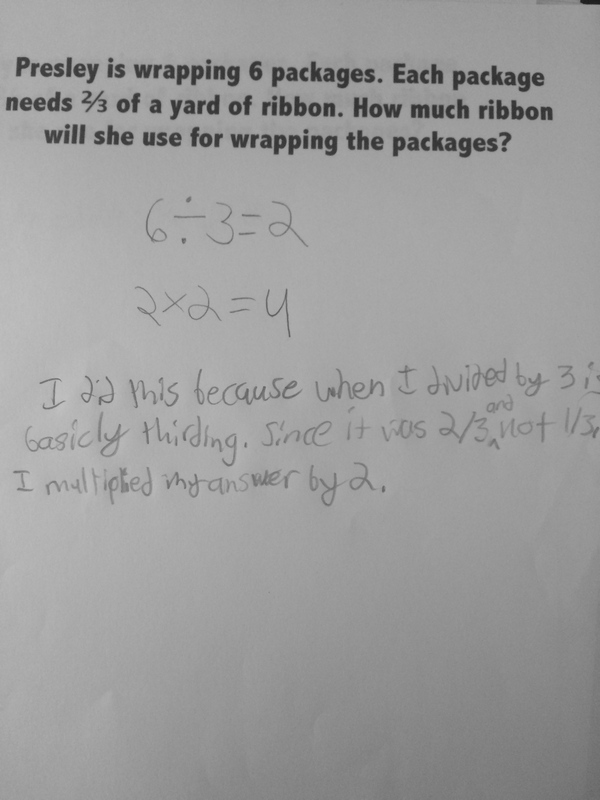 This entry was posted in 5th Grade, Clothesline, Comparing Fractions and tagged 5th Grade, Clothesline, Fractions on October 23, 2015 by mathmindsblog. Today, I had the chance to plan and teach with a 5th grade teacher and it was awesome! 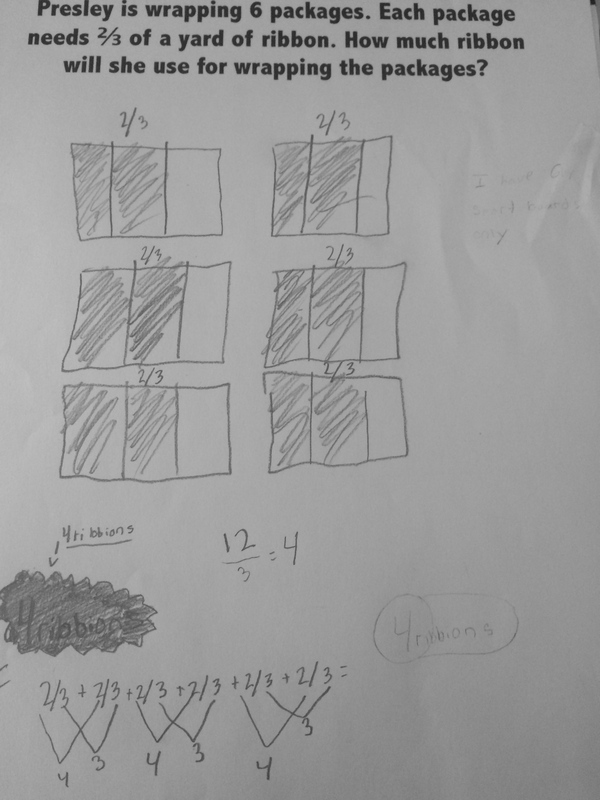 Last week, this class had just finished a bunch of 100s grid shading in thinking about fraction/percent equivalencies, so we picked up planning the lesson in Investigations with the fraction/percent equivalent strips. Instead of the 10-minute math activity, we thought it would be really interesting to do the clothesline number line to kick off the class period. 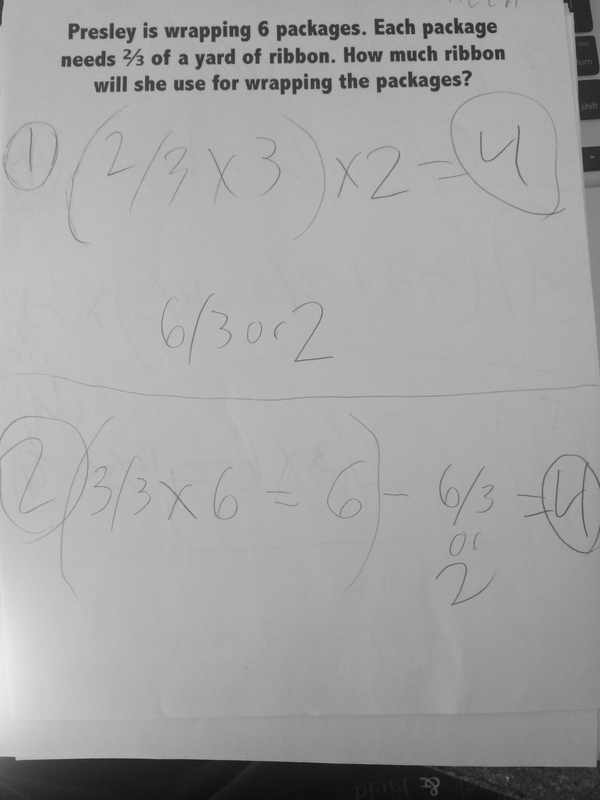 To start, I put the 0 toward the left of the line (when you are looking at it) and we practiced with a few whole numbers. 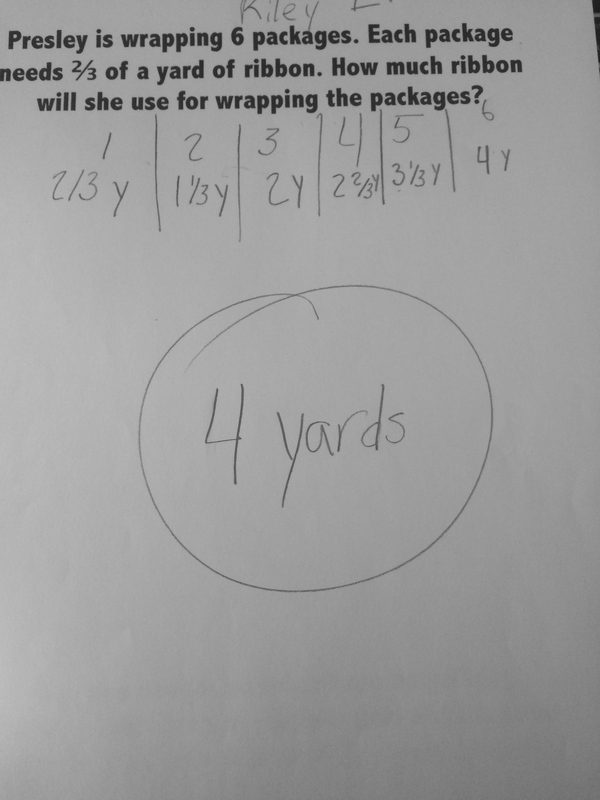 One student volunteered to be first and I handed her a card with the number 7. As she walked up, looked around, walked up and down the line, looked at me like I was playing some type of trick on her, we immediately had the conversation about how knowing the highest numbered card would be super helpful. She settled on putting it toward the far right side and had a seat. I gave another student the 10 card. He put that at the far right and adjusted the 7 to be “about 2 cards away” from the 10, leaving a really long distance from 0-7 for them to think about. We had some students disagree so we talked about distance and adjusted the cards to be more reflective of distance. 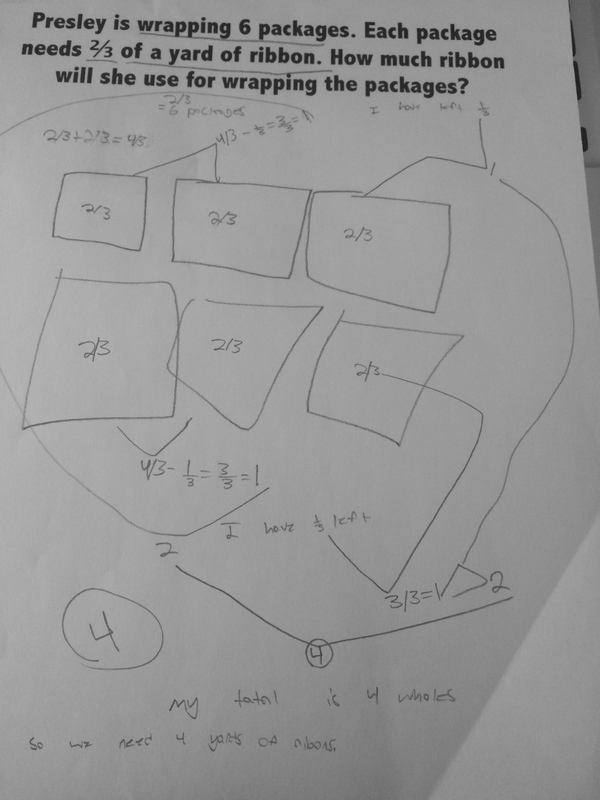 Since the conversation of half of the distance to 10 came up, I handed another student the 5 card and he placed it right in the middle. 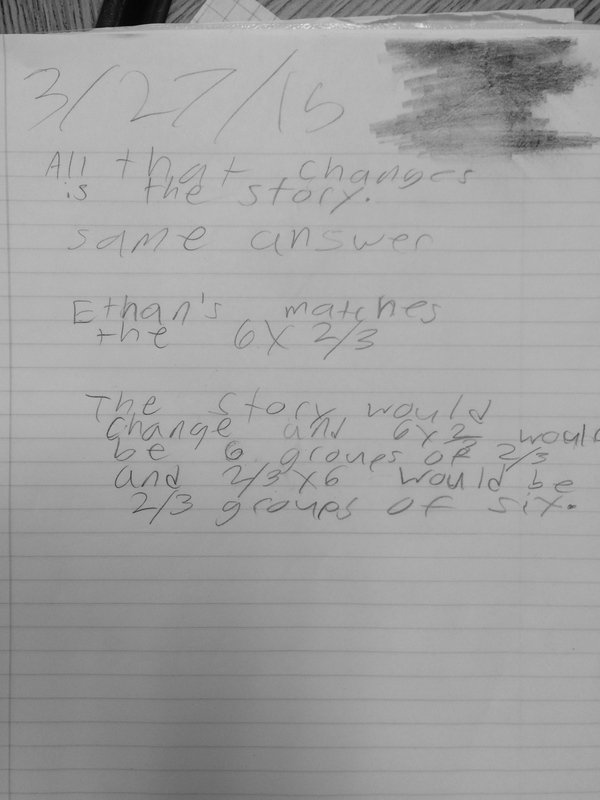 The discussion went back to the 7 and they decided that since 7.5 would be halfway between 5 and 10 that 7 had to be a little bit less than the halfway of 5 and 10. Then, we moved into the fraction cards. We gave each pair of student two cards. In hindsight, for times sake, I would probably only do one card per pair. 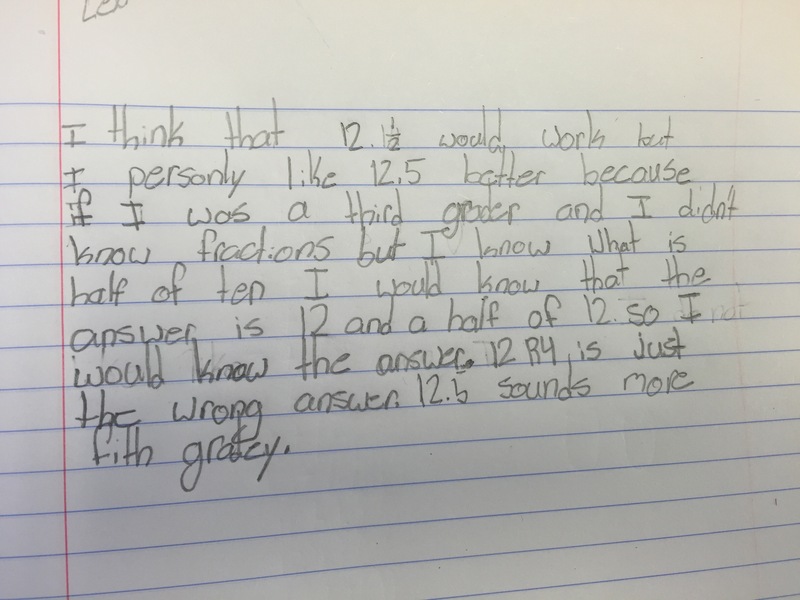 I gave them one minute to talk about everything they knew about the fractions they had and then we started. I asked for volunteers who thought their card would help us get started and called on a boy with the 1 7/8 card. He went up and stood all of the way to the right and said he couldn’t put his on. I asked why and he said that since the cards were all fractions the line could only go to 1 so his is more than one and can’t go on here. I asked if anyone in the class had a card that may help us out and a student with the 2 card raised her hand. 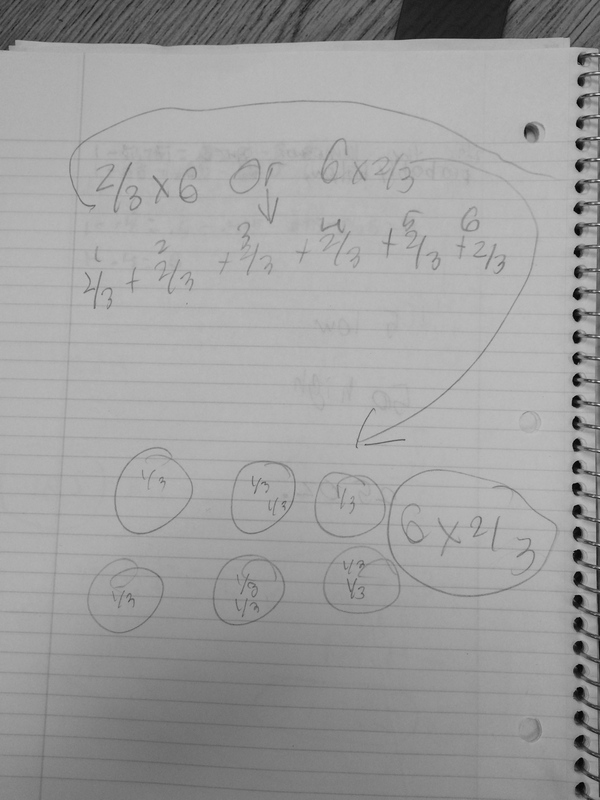 She placed her card all of the way to the right, said “maybe it goes to two” and the other student placed it just to the left of it because, “it is only 1/8 from 2.” Awesome! 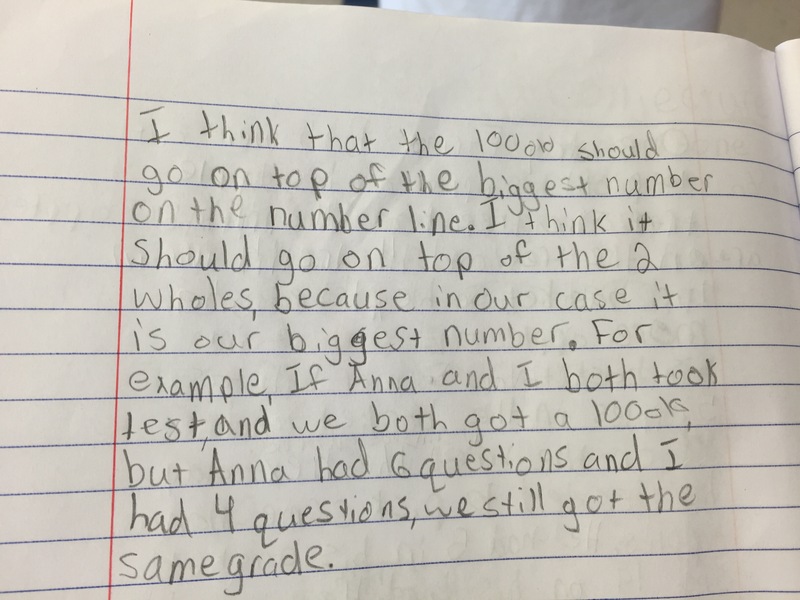 A student had placed 5/10 halfway between 0 and 1. 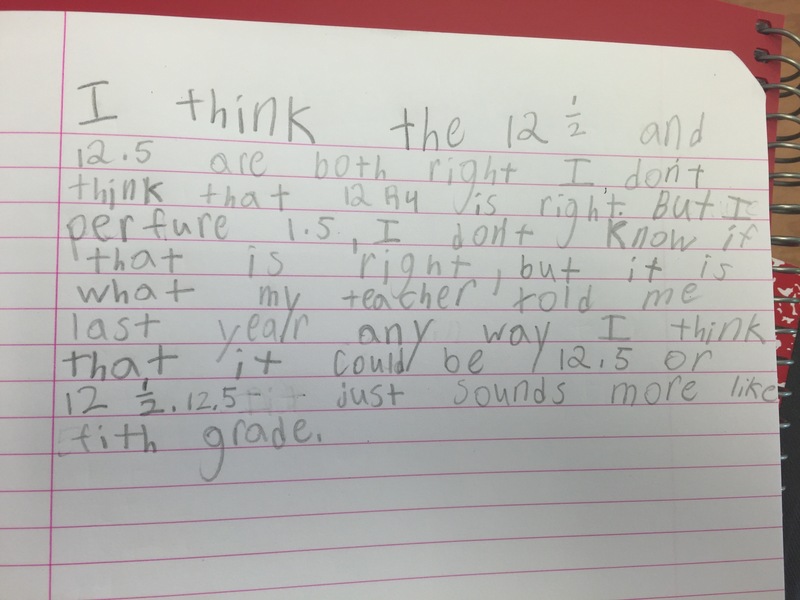 The next student placed 2/5 just to the left of the 5/10 because, “I know 2 and a half fifths is a half so that means that 2/5 has to be less than 5/10. It is a half of a fifth away.” The NEXT student volunteered and placed 3/8 overlapping just the edge of the 2/5 card on the left. 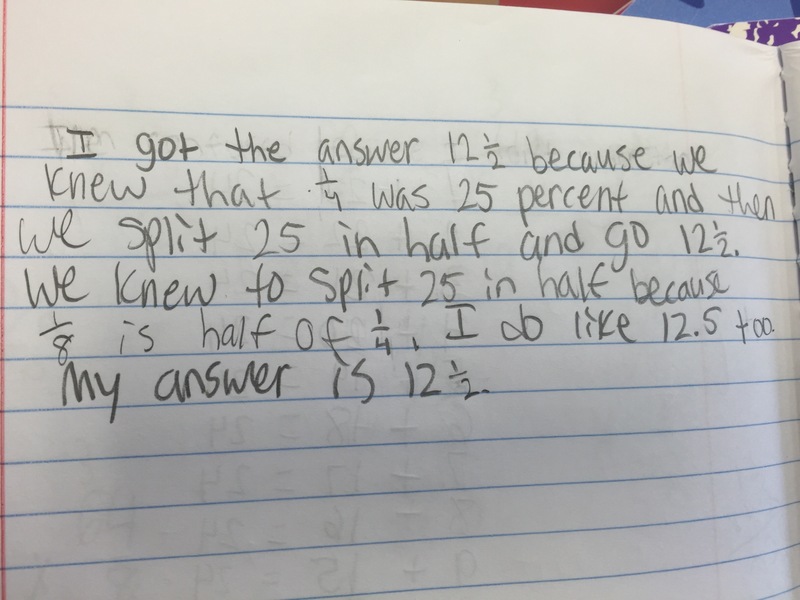 I was expecting percentages to come out, since that was their most recent work with those fractions, however the student said they knew 3/8 was an 1/8 from a half and 2/5 was a 1/10 from a half and an 1/8 and 1/10 are close but an 1/8 is just a little bit further away. Awesome and definitely not what I expected! I wish I had not put the zero so far to the left. 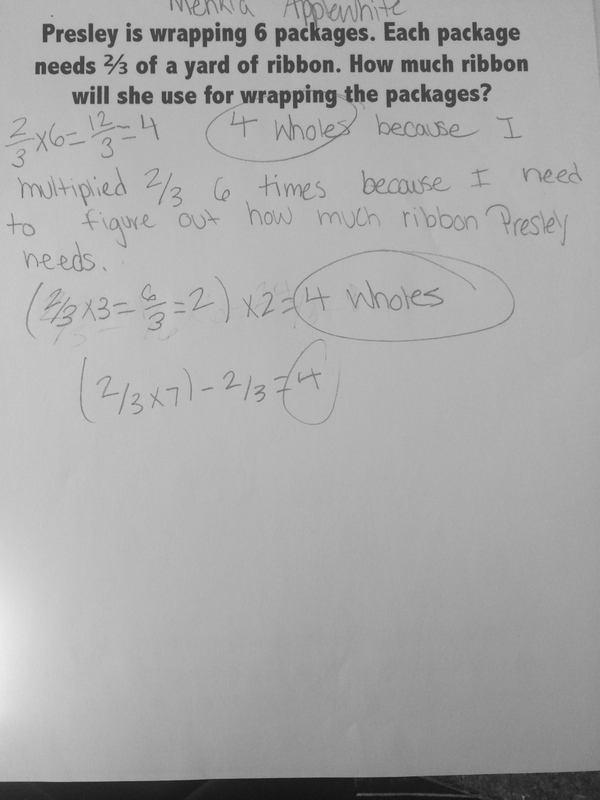 Looking back I am wondering if that instills misunderstandings when they begin their work with negative numbers on a number line similar to the original misconception that launched the activity with the 1 7/8. Oh, the 100% card….complete mistake on my part, although it may have been a great mistake to have! 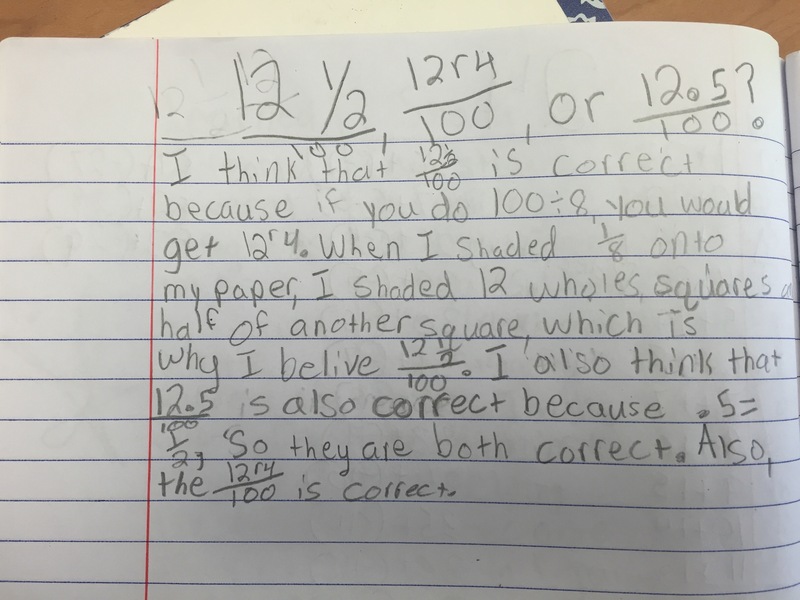 In the first class, the student with the 100% card came up and said, “I have 100% and that is 100/100 which is 1” and put it in the appropriate place on the line. 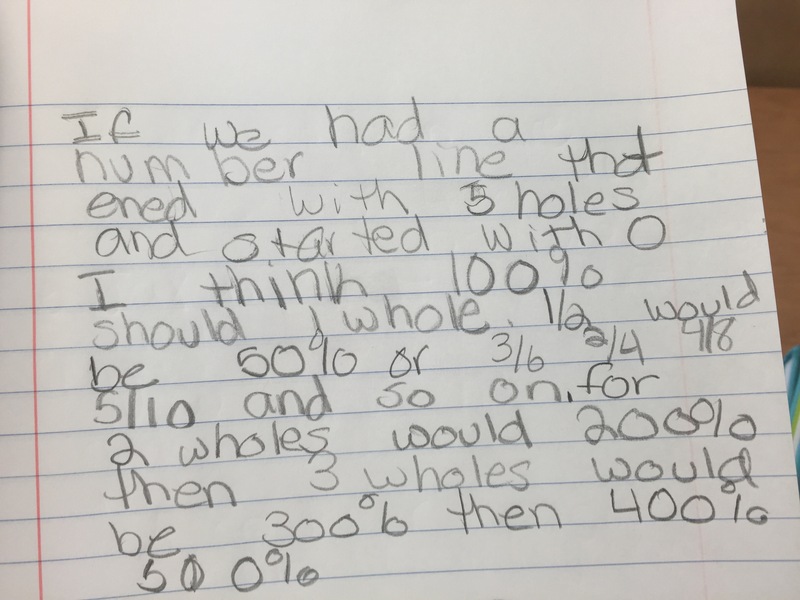 Just as she did that, I started thinking how I never really thought about the distinct difference between percent in relation to area (like the grids they had been shading) and 100% when dealing with distance on a number line. 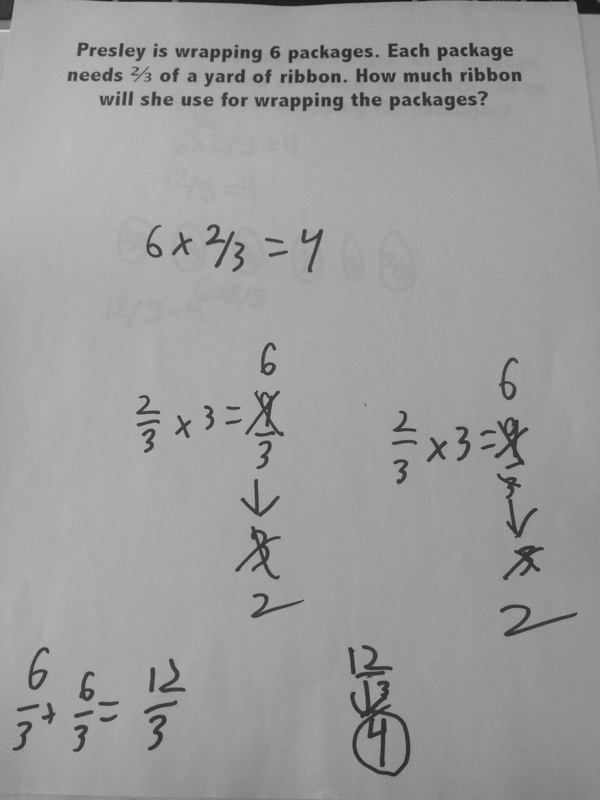 No one seemed to notice and since I didn’t know exactly what to ask at that point because I was processing my own thoughts, I waited until another student placed 4/4 on top of it and erased it from my immediate view! I stayed for the next class and this time I was prepared for that card and now really looking around to see what students’ reactions were when it was placed. As soon as the student placed it at the 1 location, I heard some side whispers at the tables. 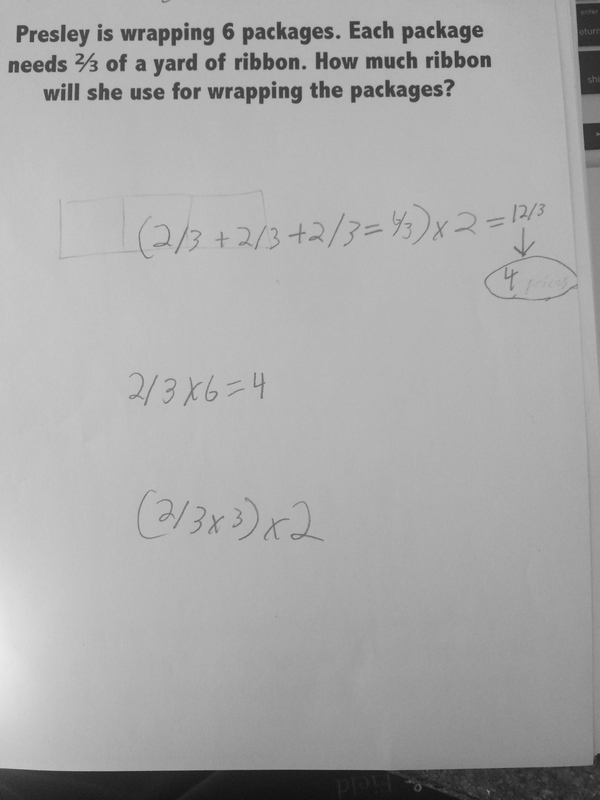 I paused and asked what the problem was and they said, “100% is the whole thing.” The next student who volunteered had the 2 card, picked up the 100% card on the way to the right side and put the 2 down and the 100% on top. Lovely and just what I was thinking. 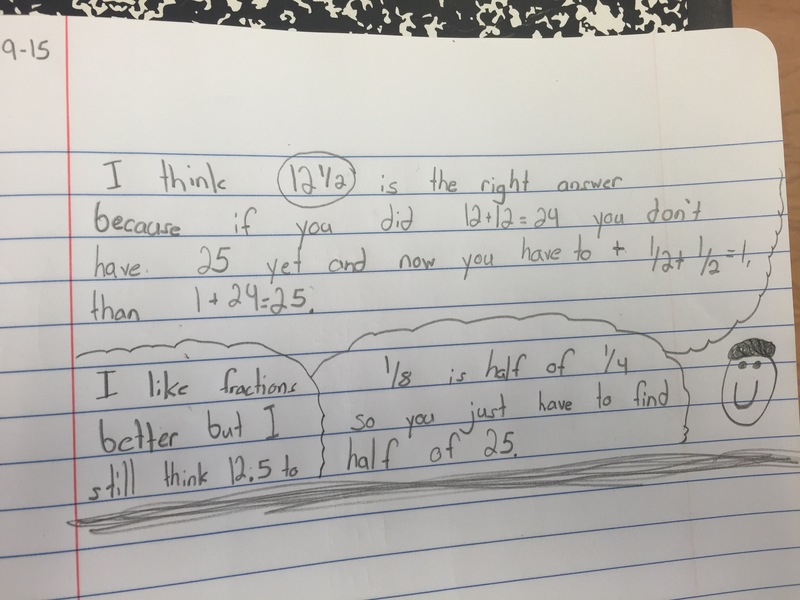 I have never had students reflect on the difference of talking about percentages with distance versus area because I had never thought about it! It definitely feels like an interesting convo to have and a great mistake that I am glad I made!! 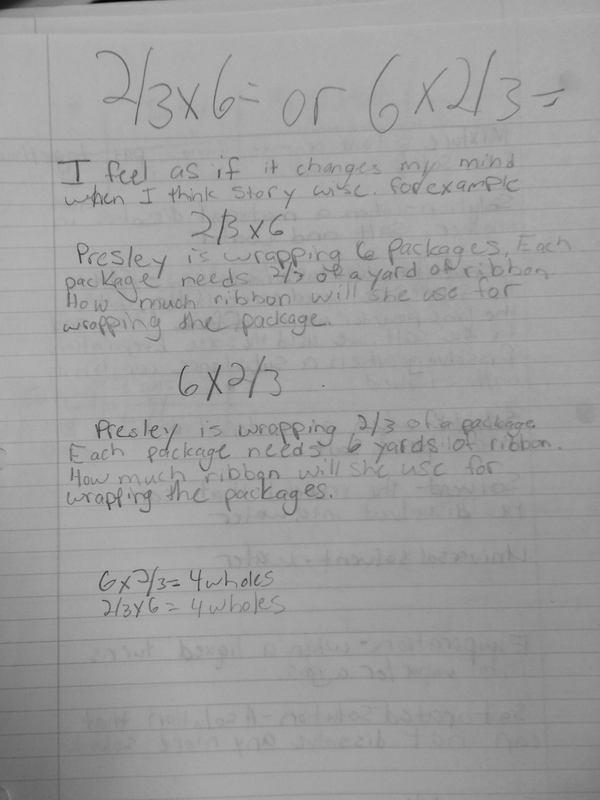 I will be back in another 5th grade class tomorrow and will see what happens…it could make for a great journal writing! 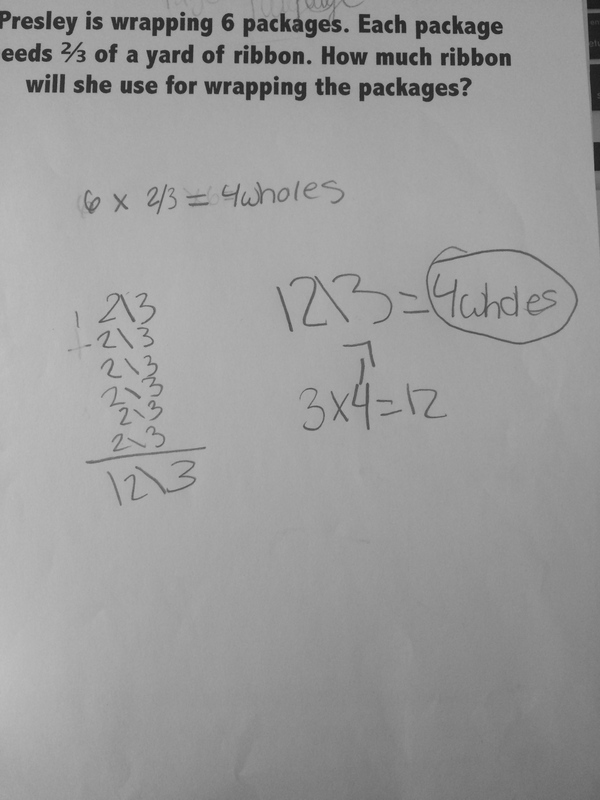 This entry was posted in 5th Grade, Clothesline, Comparing Fractions, Fractions and tagged 5th Grade, Clothesline, Fractions on October 22, 2015 by mathmindsblog. 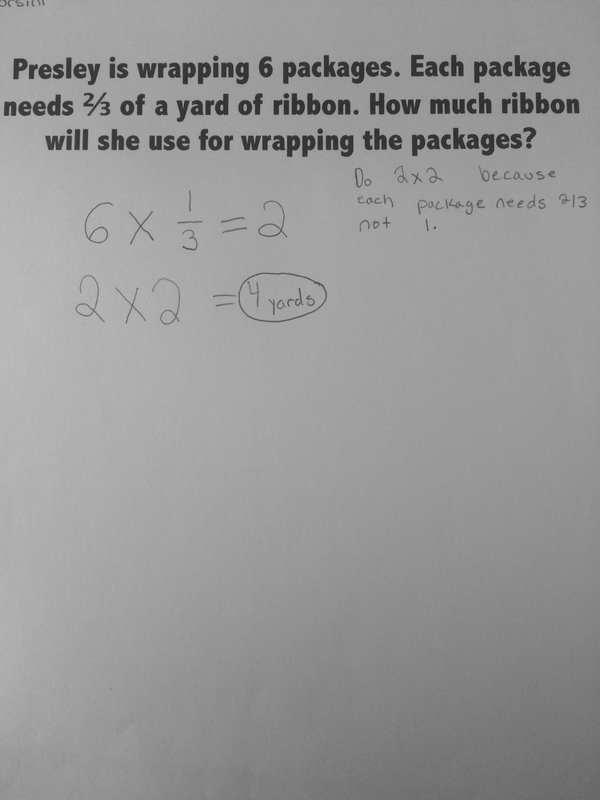 It goes without saying that I miss talking 5th grade math with my students each day. But I am so lucky this year to have a new, wonderful teacher in 5th grade who lets me plan and teach some lessons with her! 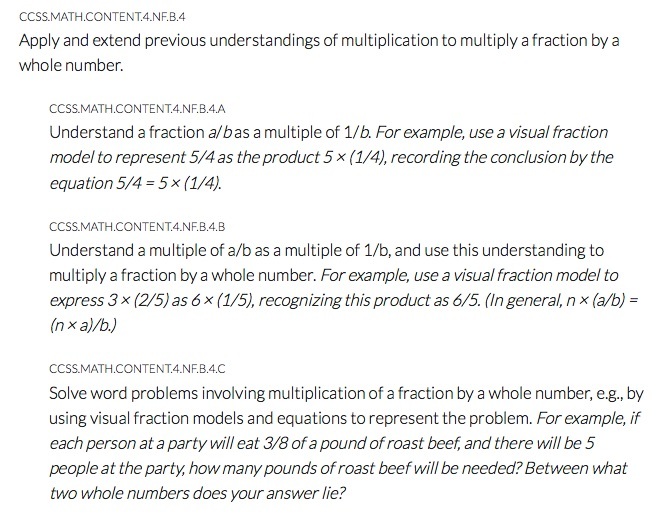 This lesson was one of her first lessons of Unit 4, Name That Portion. 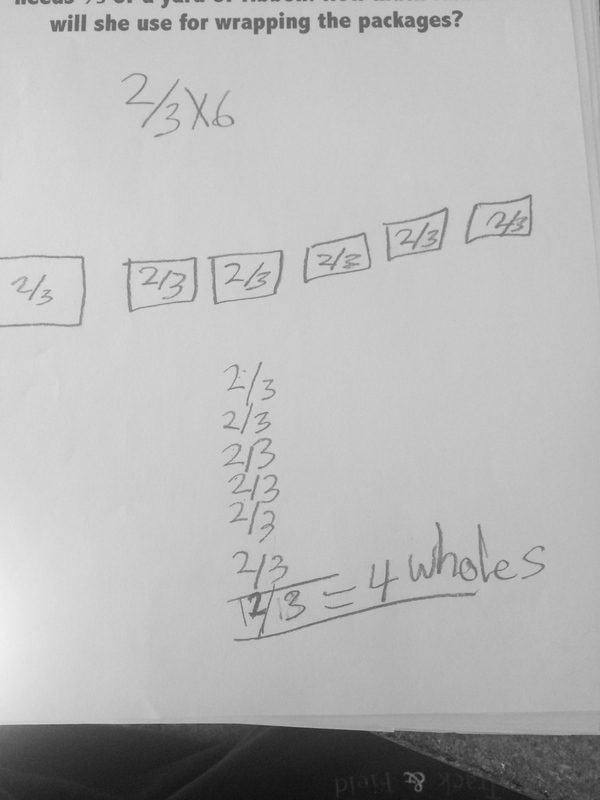 Since in 4th grade the students do a lot of work with comparing fractions, we designed a Number Talk string in which students were comparing two fractions. 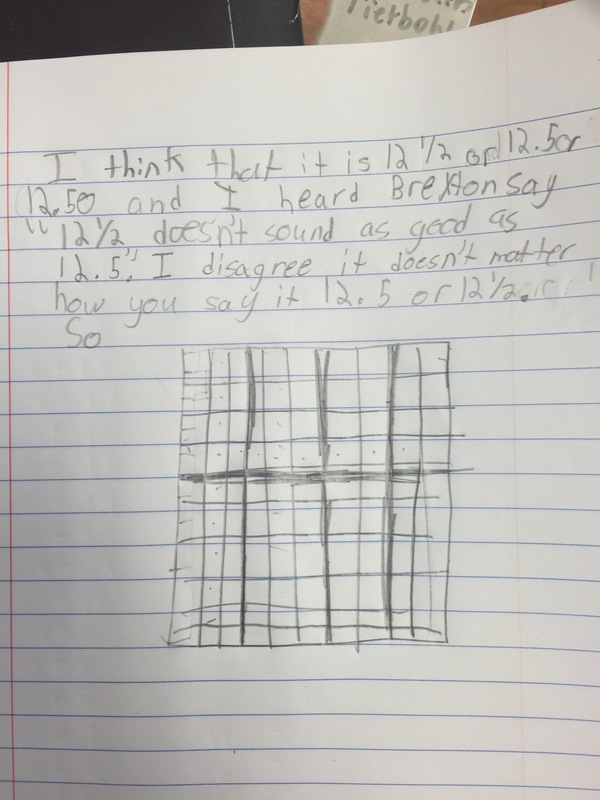 We wanted to hear how they talked about the fractions. In the string we used a set with common denominators, common numerators, and one unit from a whole. On each problem we were excited to hear talking about the “size of the piece” being the unit and the numerator telling us how many of those pieces we have. Our 4th grade teachers really do a beautiful job with this work. 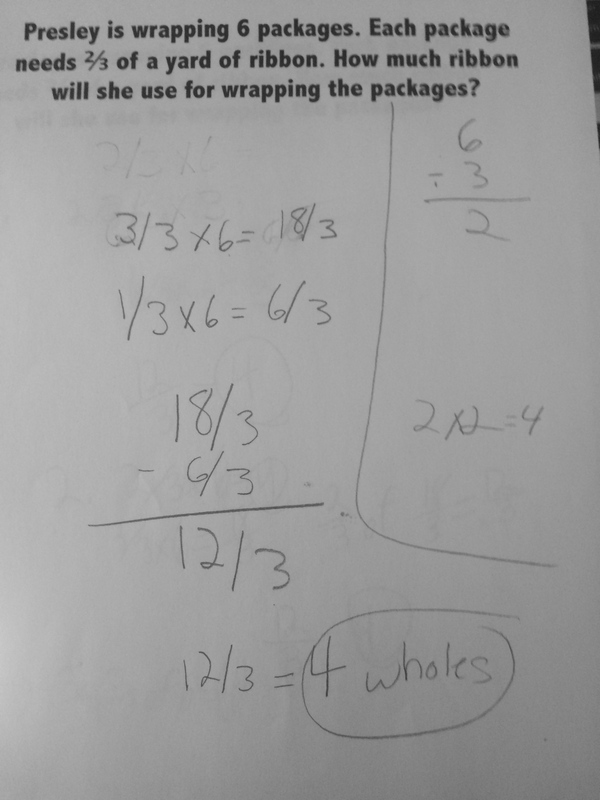 They also used equivalents to have common denominators to compare and a few used percents, since they had done a some grid work with that they day before. We started the lesson by asking them how they could shade 1/4 on a 10×10 grid. 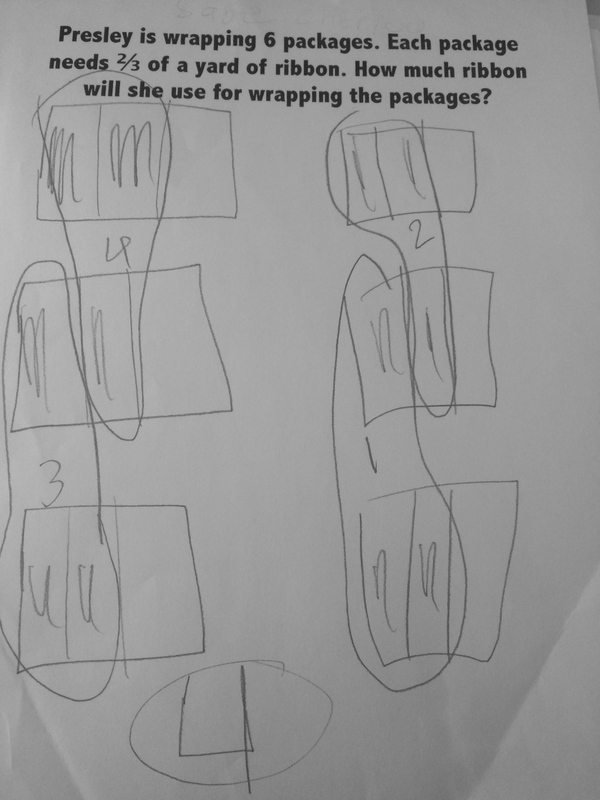 The majority of the students split the grid in half vertically and then again horizontally and shaded one quadrant. We heard a lot of the “1/4 is half of a half.” As I was walking around, I heard a pair talking about shading a 5×5 in that grid. I saw this as a beautiful connection to the volume unit they just completed in which they were adjusting dimensions and seeing the effect on the volume. 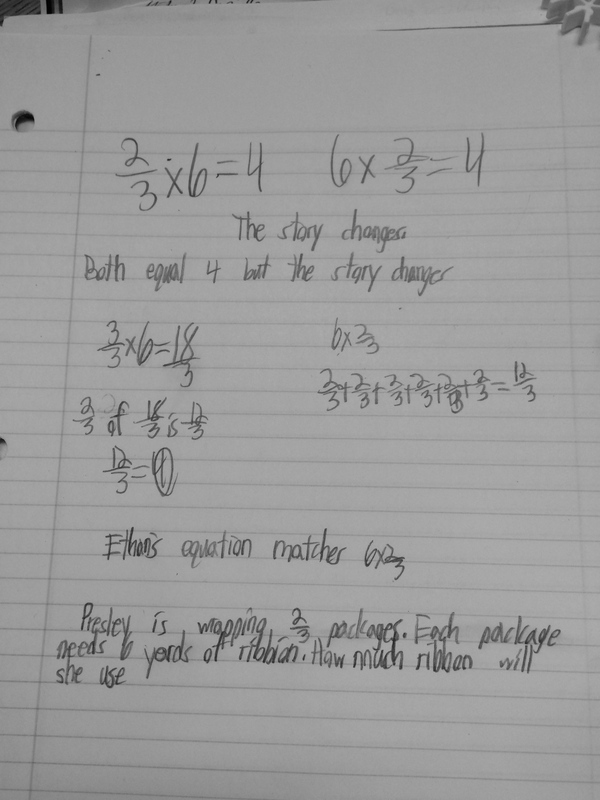 I had her explain her strategy and wrote 5 x 5 under the 10 x 10 that was up on the board already and asked how that could get us 1/4 of the whole thing? 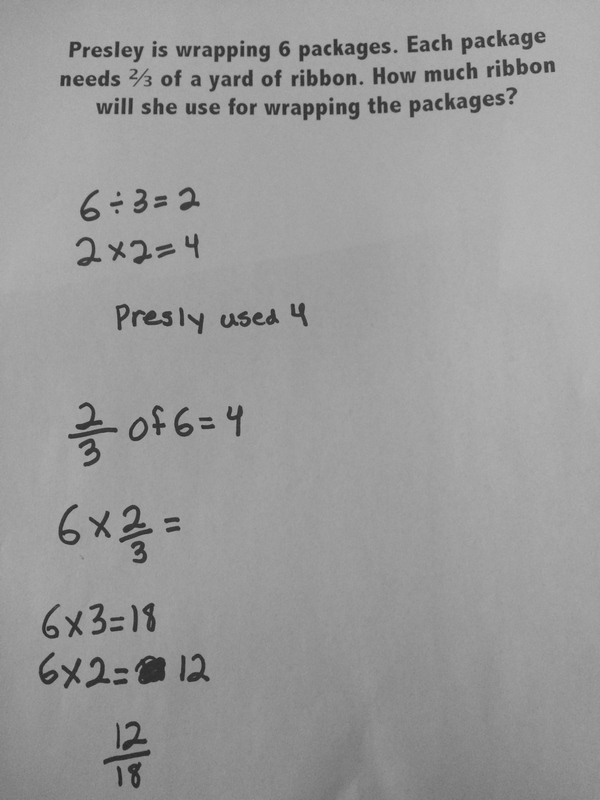 One student said it looks like it should be half of it because 5 is half of 10, but then one student said since we were taking 1/2 of both it would be a fourth….this is where I hope Leigh (the 5th grade teacher) and I remember to use this when they hit multiplication of fractions! 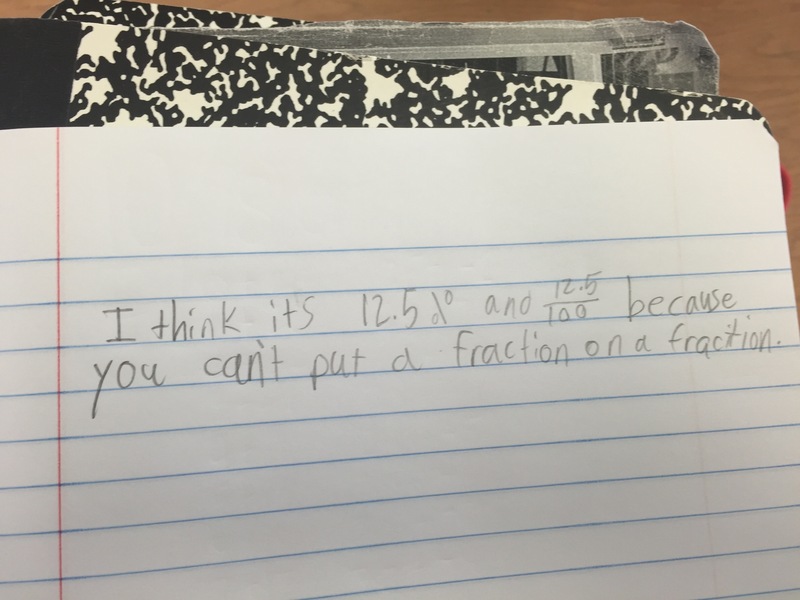 This entry was posted in 5th Grade, Fractions, Percents and tagged 5th Grade, Fractions, Percents on October 11, 2015 by mathmindsblog.